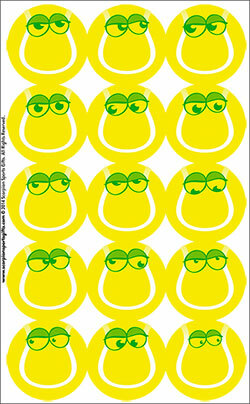 These bright Tennis Ball Stickers are larger than our regular stickers at 51mm (2") dia. 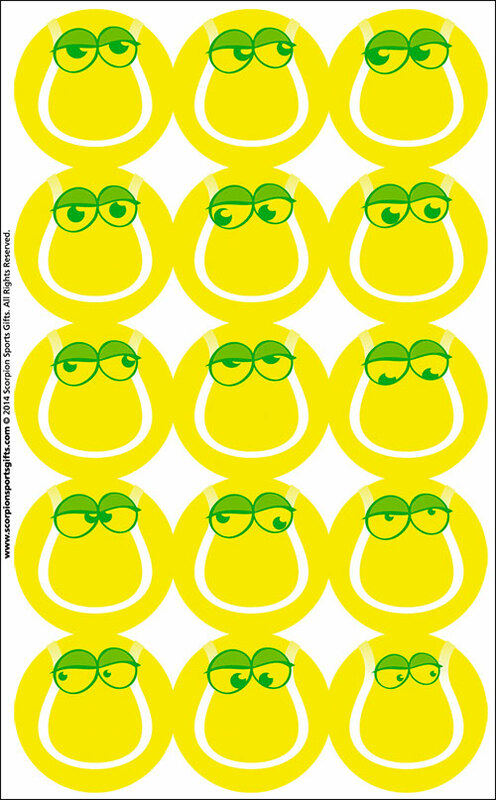 They have a different pair of eyes on each sticker and space below to write a pupil's name. So when running courses of new pupils and you have names to remember, here's the answer! You could also use them to pair children up or get them into groups by getting them to find the other pupils who have the same eyes as theirs. Although this would take time, GREAT fun for the kids and wonderful icebreaker at beginning of course!